Believe it or not, there are a lot of people who will fail to believe that they have an ankle injury that is severe enough to be a break. The truth of the matter is that the ankle is made up of several bones that can fracture. When this happens, you need to see a professional for options in broken ankle treatment and surgery in Kirkland in order to have the best possible outcome. The bones that make up the ankle joint include the tibia (shinbone), the fibula (small bone of the lower portion of the leg), and the talus (small bone between the heel and the tibia and fibula. A broken ankle is something that can happen at any time and to anyone of any age group. The injury can come from twisting the ankle, rolling the ankle, major impact from an accident or something else. No matter what the cause of the injury to the ankle, the main goal should always be to make sure that you are able to get a full examination. This will include any testing and x-rays that are necessary to determine how much damage is done. 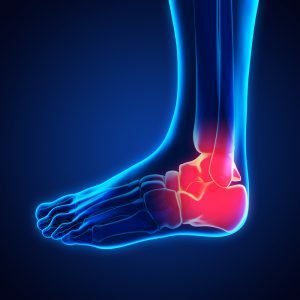 With some patients, there can also be added pain due to a pulling of the ligaments that are also involved in the ankle joint. The symptoms that you should be looking out for if you happen to have a broken ankle will include swelling, bruising, tenderness to the touch, inability to bear weight on that injured foot, immediate and severe pain or the look of some sort of deformity. Call Mill Creek Foot and Ankle Clinic at (425)482-6663 for broken ankle treatment and surgery in Kirkland to learn about complications and pain management.